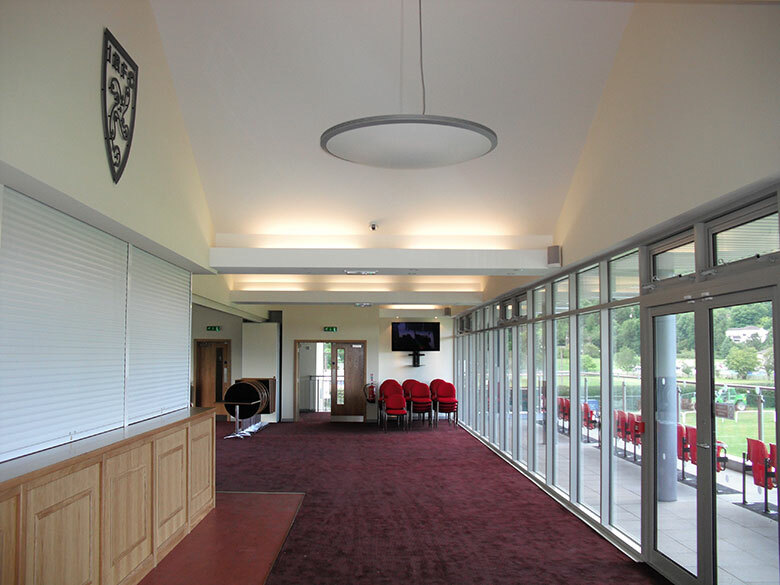 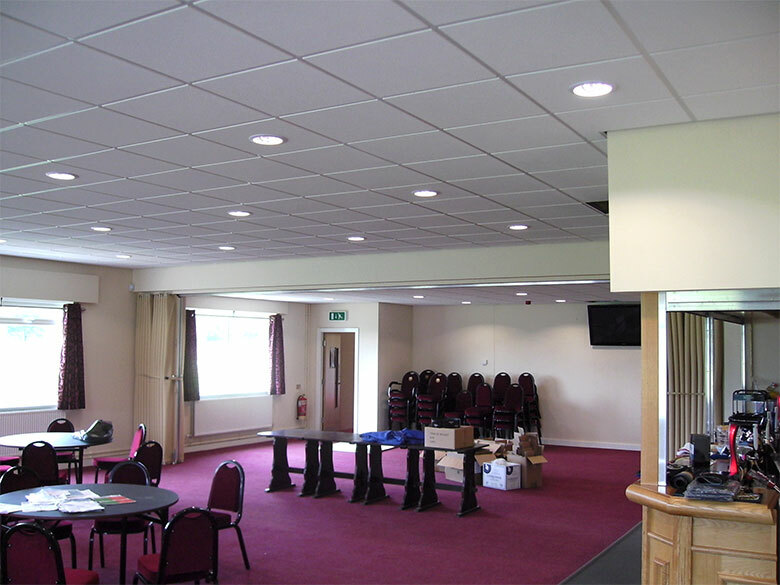 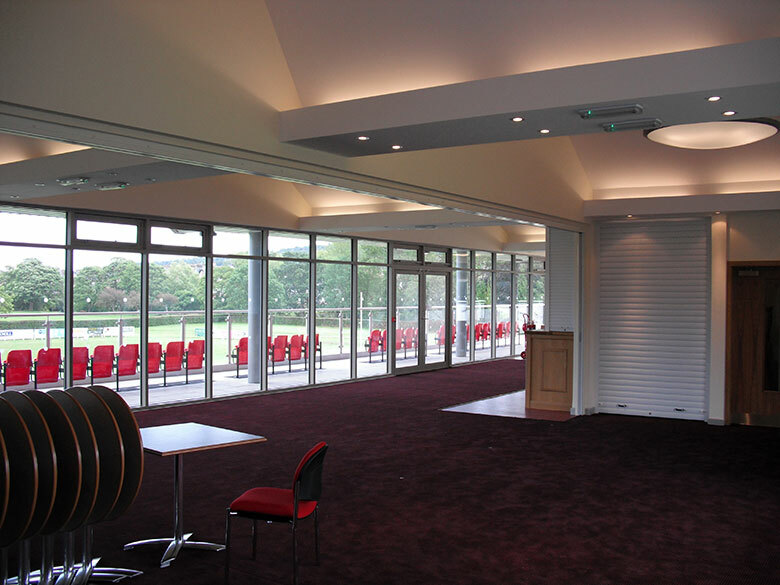 Watsons Building Services Ltd were appointed to carry out the design and installation of the mechanical and electrical services installations for redevelopment of the Tennis & Squash Club. 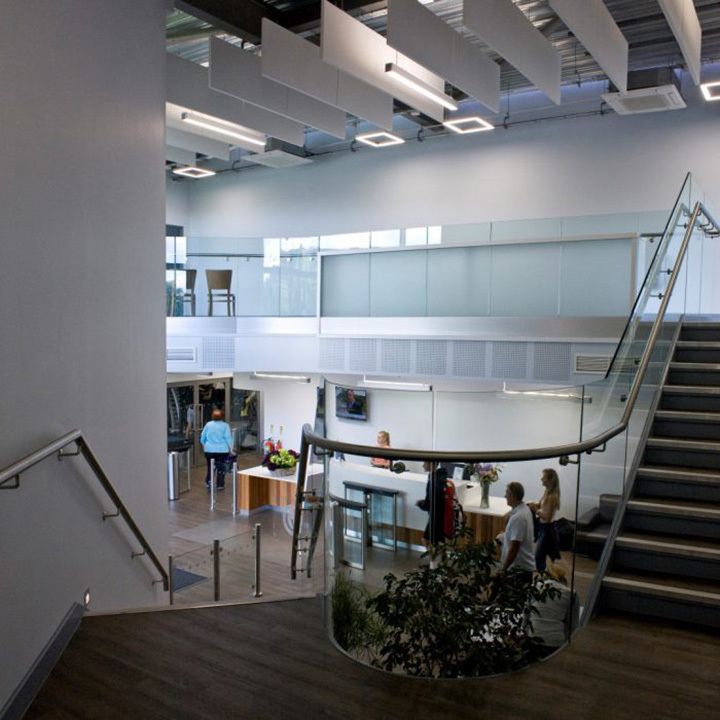 The project included a new two storey gym and fitness centre, entrance foyer, and refurbishment of the existing reception and car park. 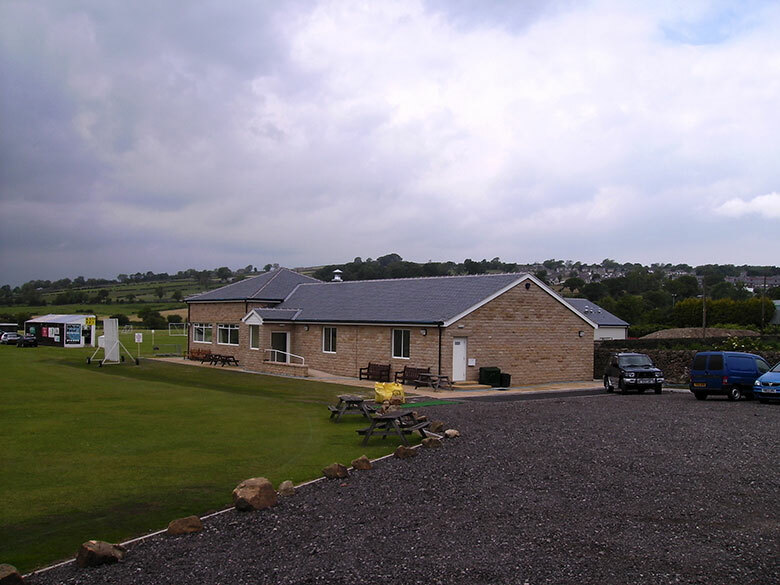 The club house consisted of 6 changing rooms and 2 officials changing rooms each with showering facilities and function room with licensed bar and kitchen on the first floor. 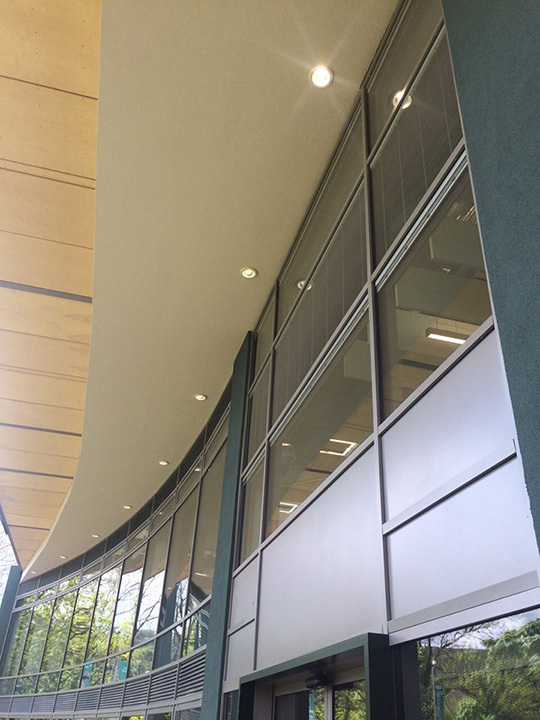 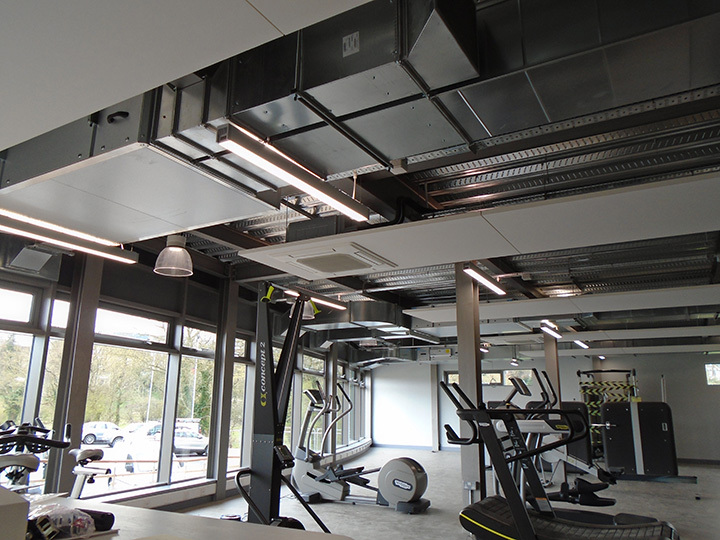 The mechanical services comprised of comfort air conditioning and mechanical heat recovery ventilation to the gymnasium, fitness centre, entrance foyer, therapy room and office areas. 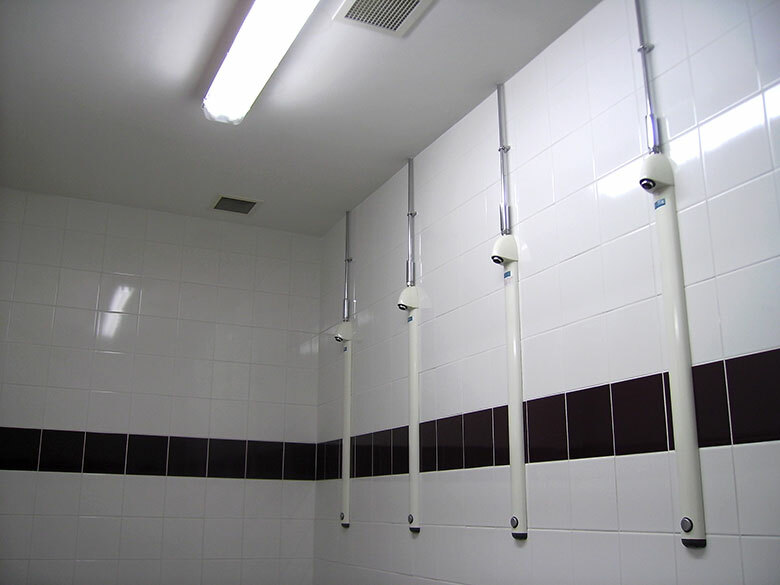 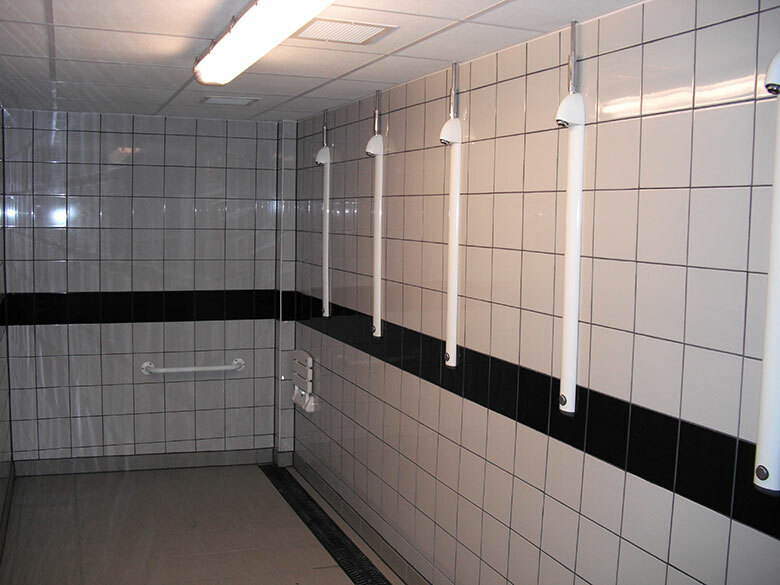 In circulation areas, the existing LTHW system was adapted and extended to serve a number of radiators. 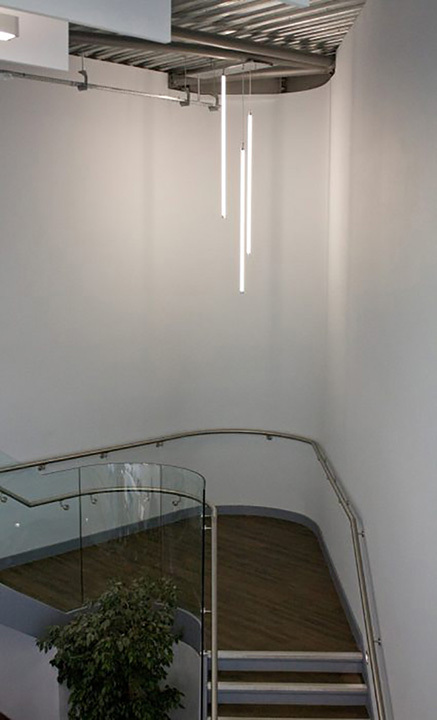 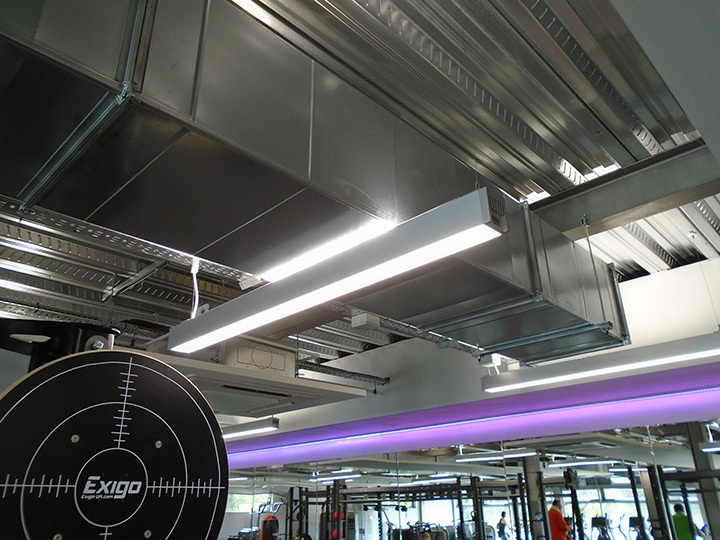 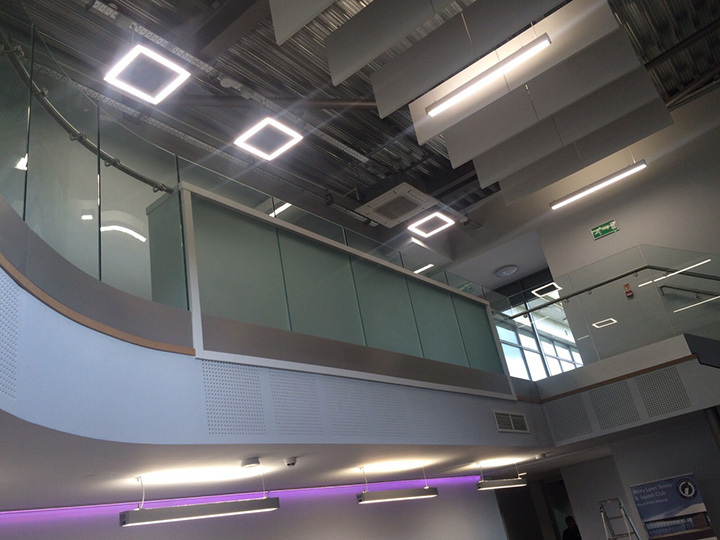 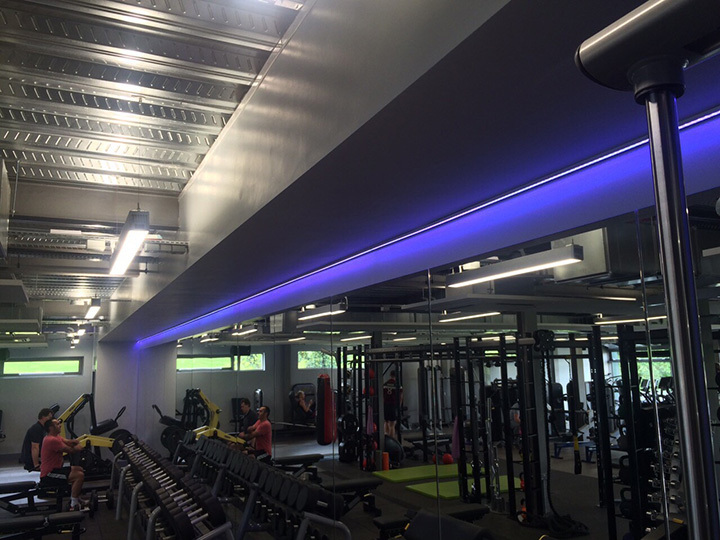 The electrical installation comprised of LED general lighting, scene setting lighting and specialist colour changing mood lighting with scene setting control to the gymnasium, fitness centre and entrance foyer. 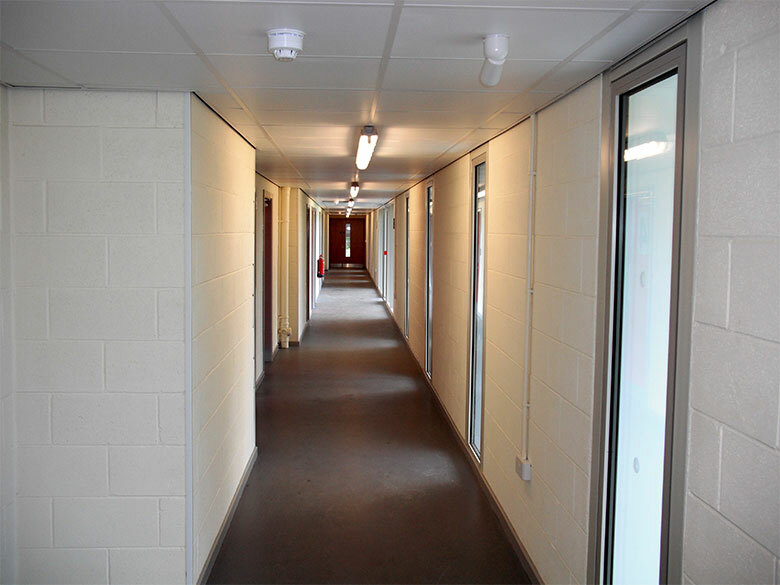 Fire and security alterations and extensions were made into the new extension. 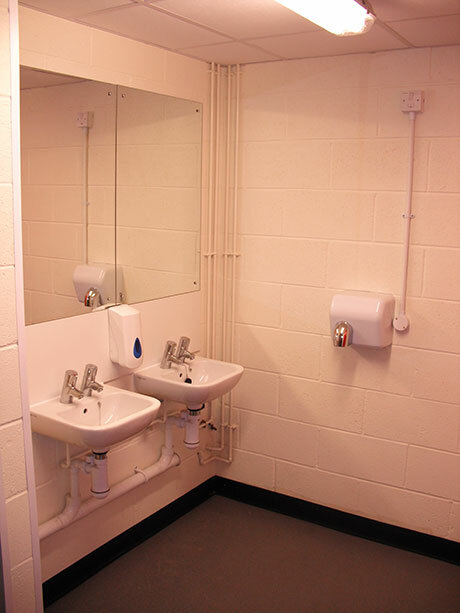 Data cabling was installed to serve the gymnasium equipment. 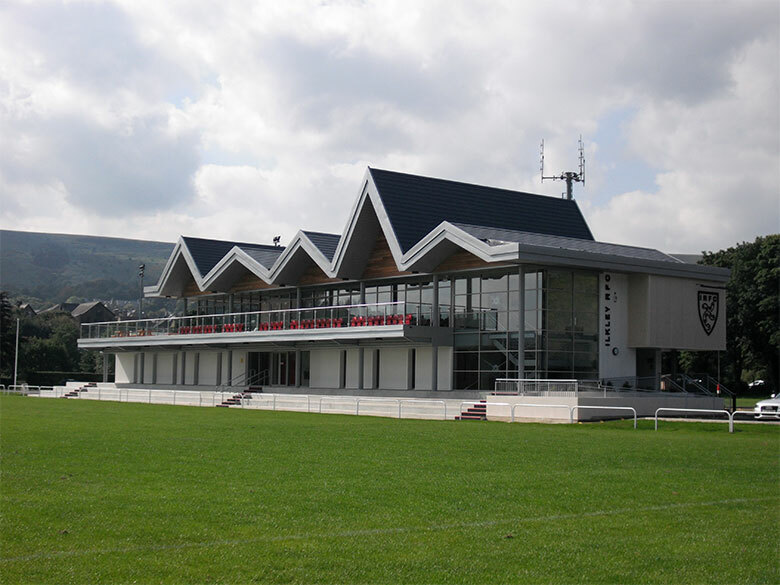 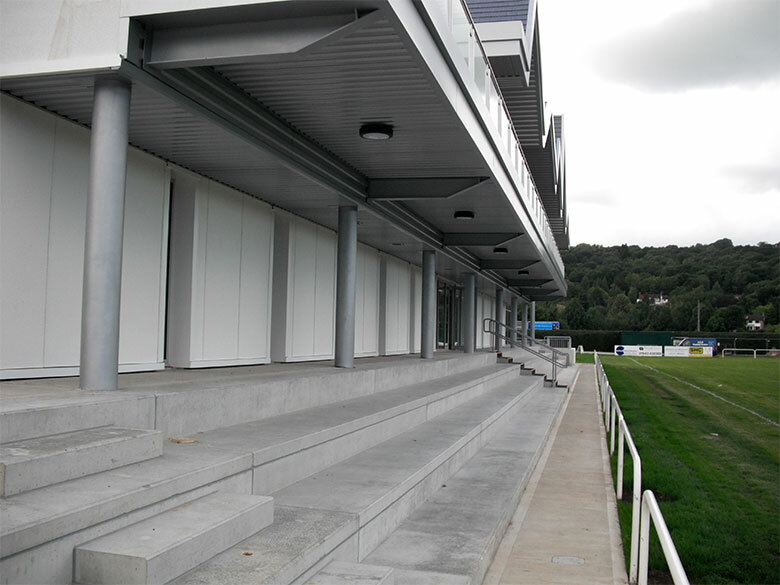 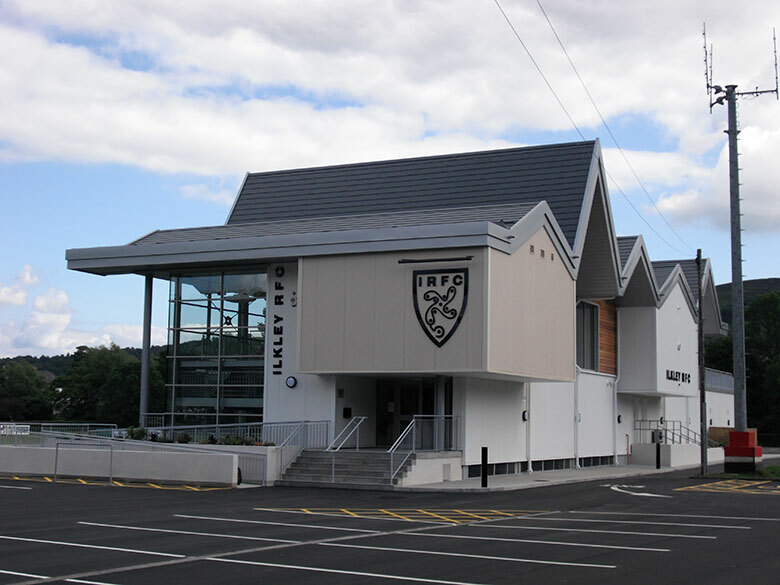 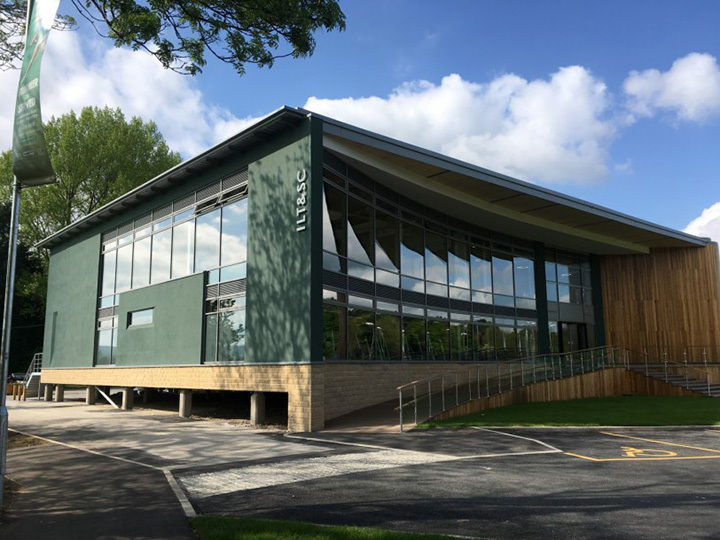 Watsons Building Services carried out the mechanical and electrical services installations at the new build two storey club house and changing facilities for Ilkley Rugby Football Club, West Yorkshire. 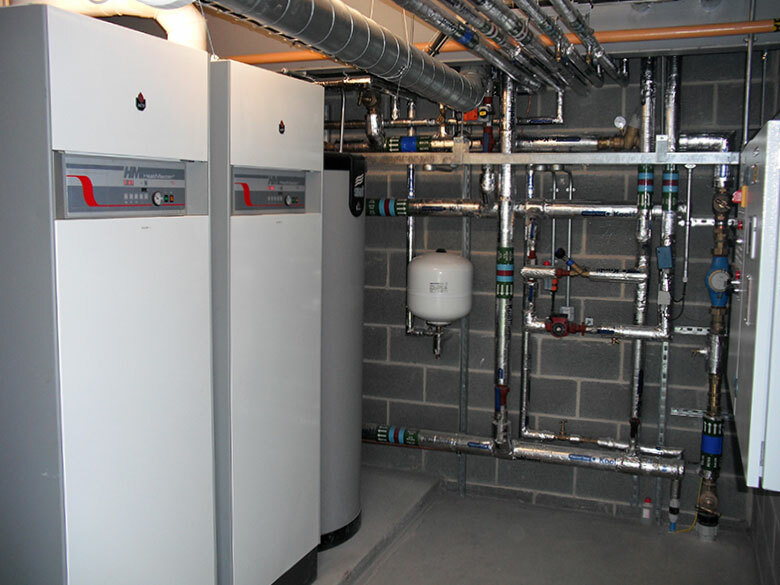 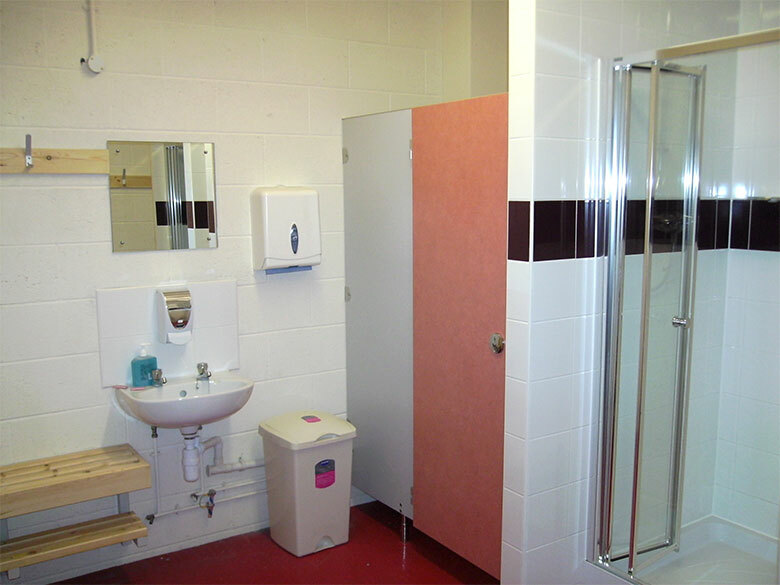 The contract included LTHW heating via radiators and pipe coils to changing/ toilet areas and under floor heating to the first floor function room. 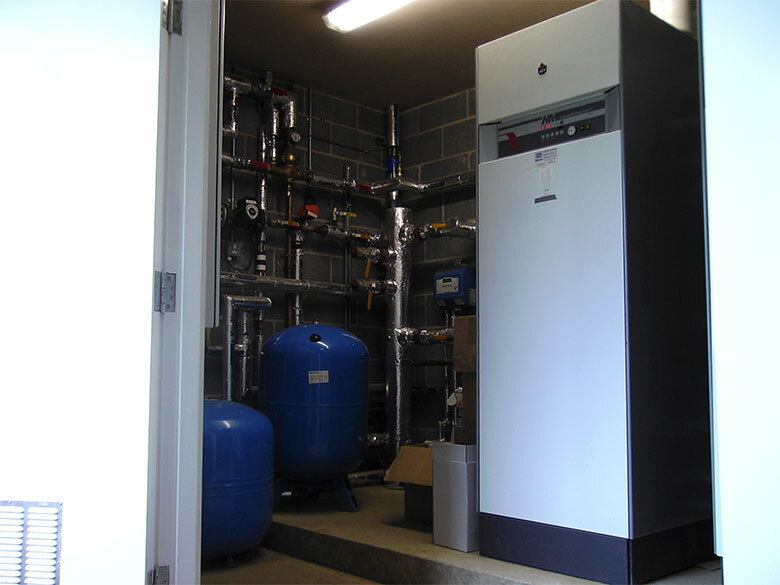 Domestic water and gas services serve the kitchen, shower and toilet areas along with mechanical ventilation. 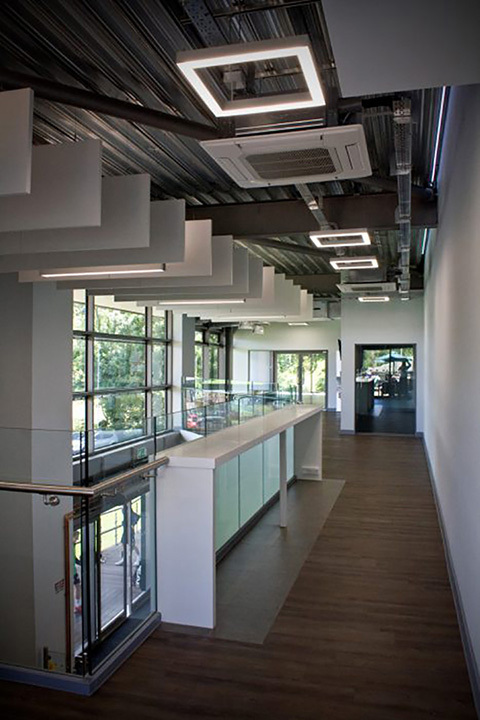 Electrical installations included internal & external lighting, fire alarm, power, CCTV and a PA system. 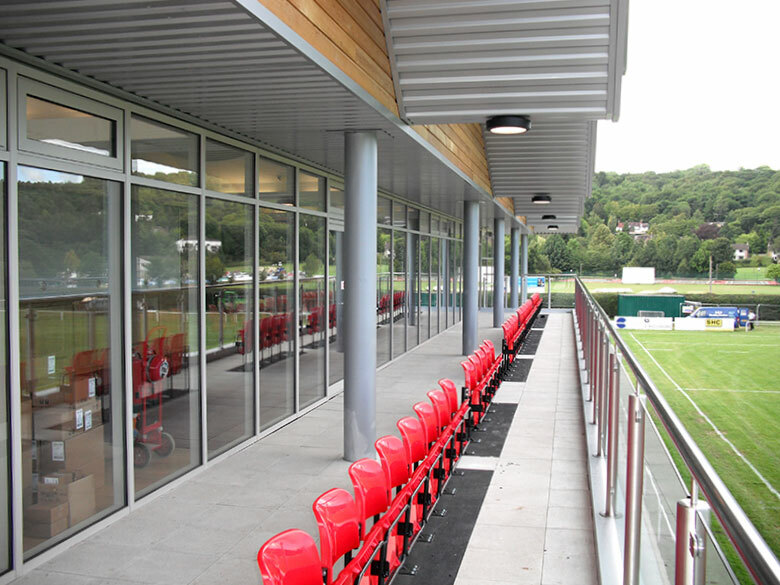 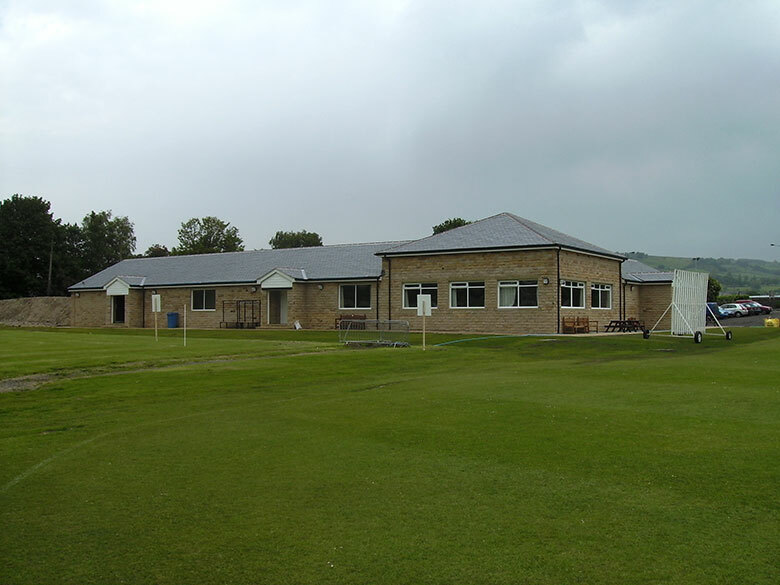 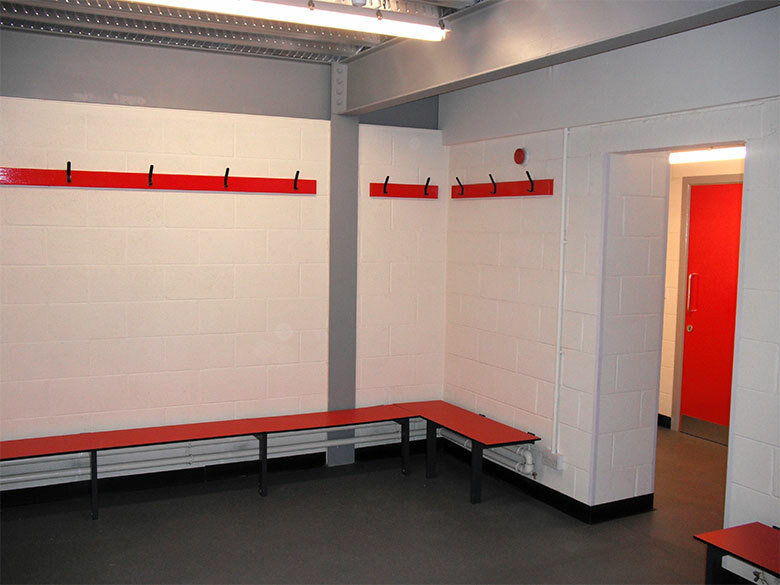 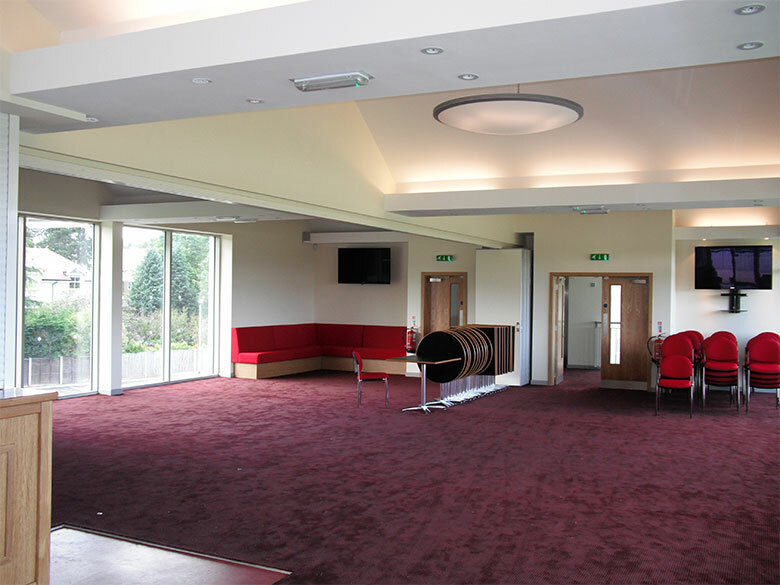 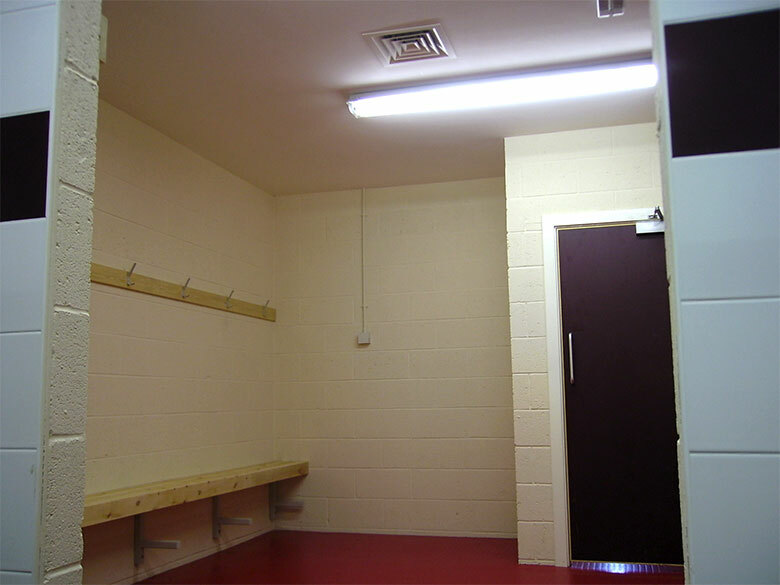 Watsons Building Services carried out the mechanical and electrical services installations at the village’s local football & cricket club’s new build club house and changing facilities in Silsden, West Yorkshire. 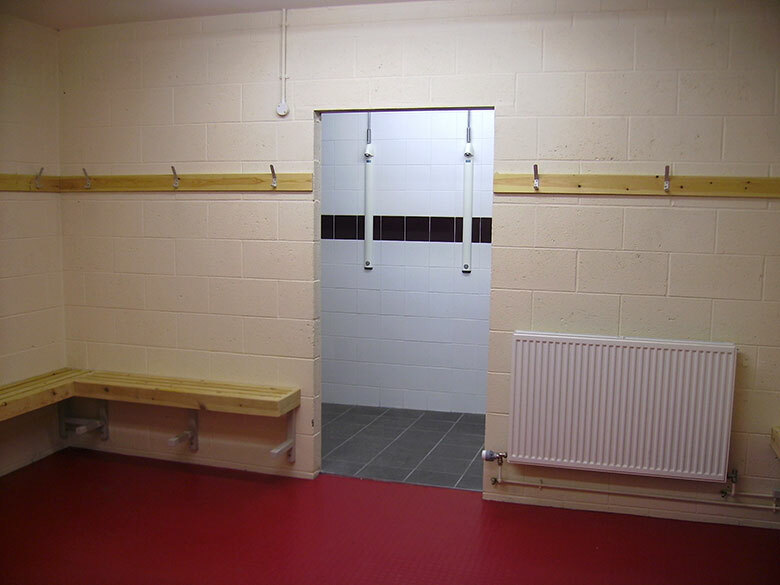 The club house consisted of 6 changing rooms and 2 officials changing rooms each with showering facilities and function room with licensed bar. 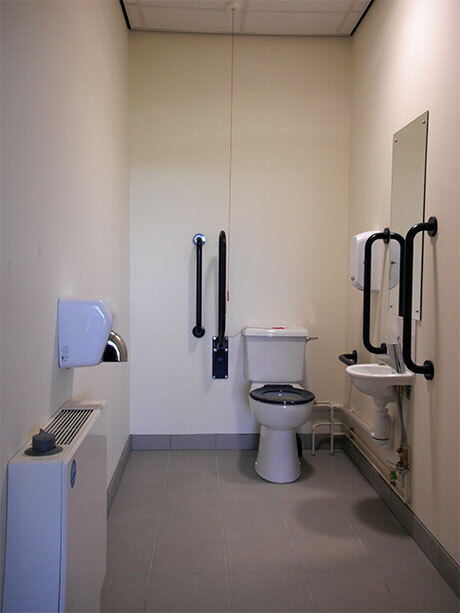 The contract included LTHW heating, domestic water and gas services serve the kitchen, shower and toilet areas along with mechanical ventilation. 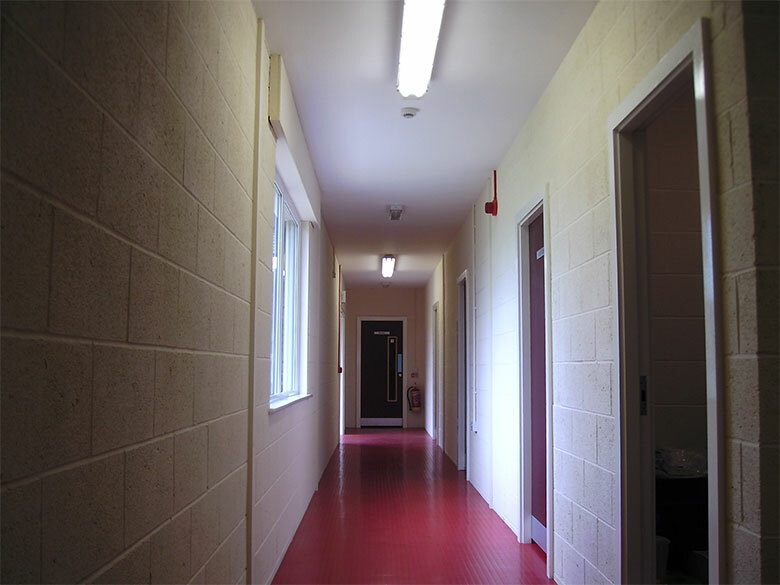 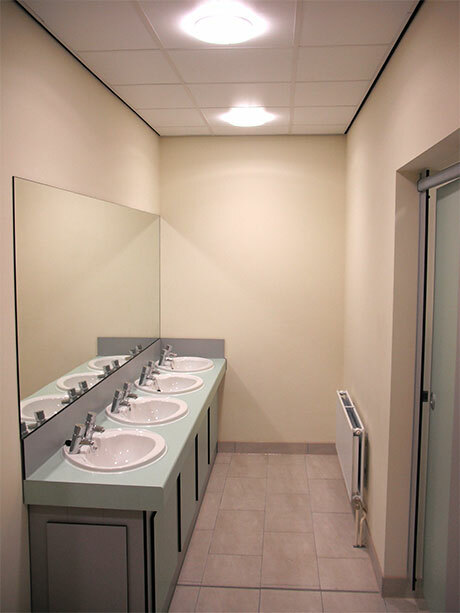 Electrical installations included external and internal lighting, fire alarm and power.